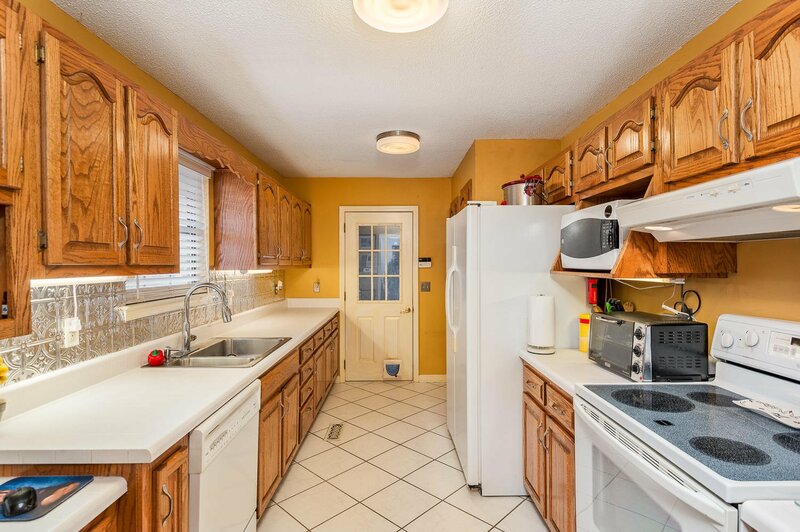 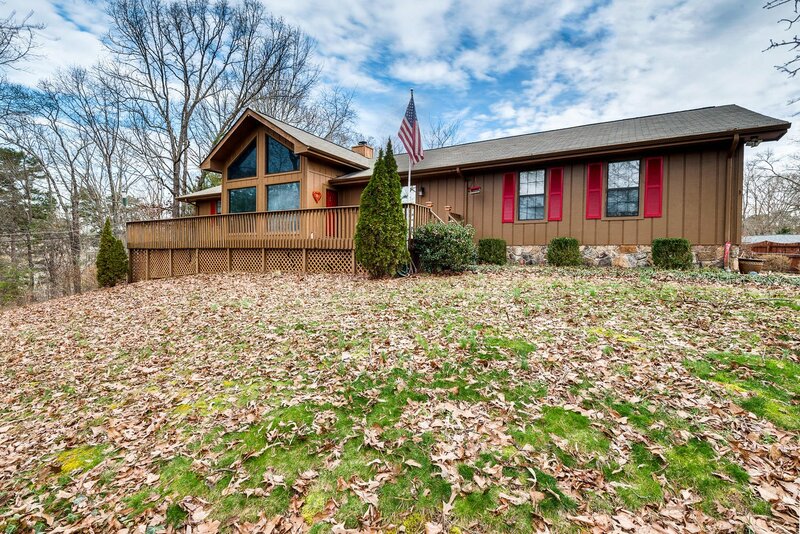 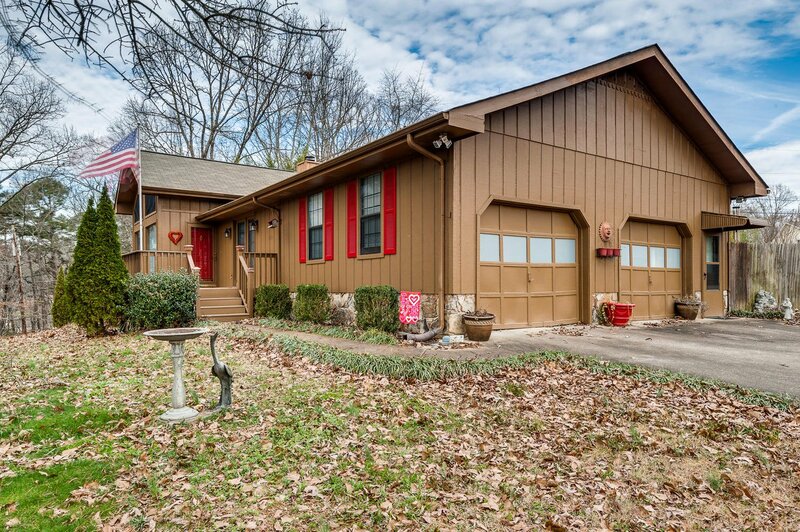 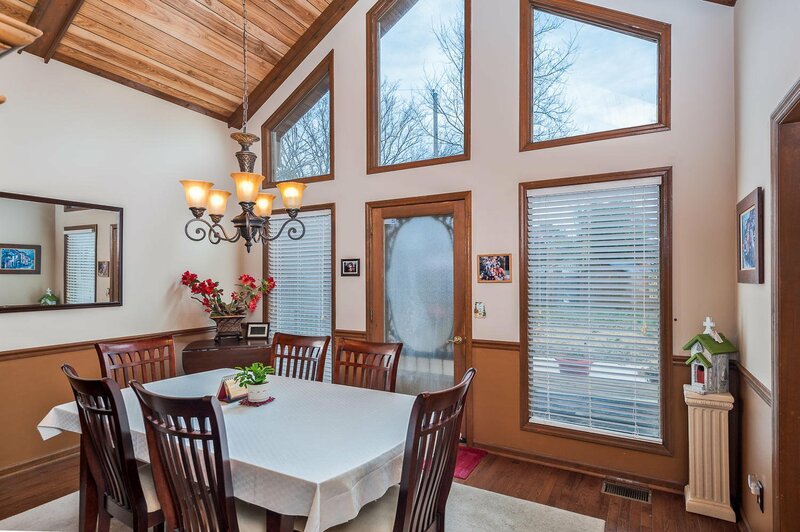 Beautiful, well-maintained home in Lakesite. 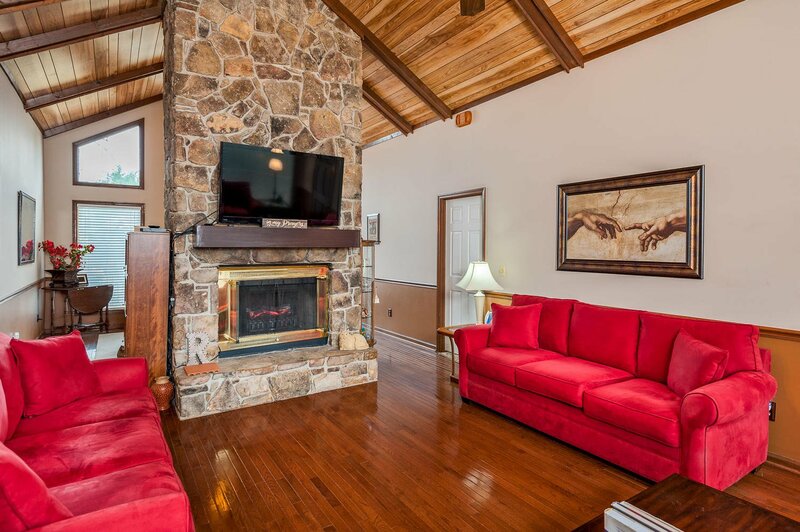 Cathedral 13' ceilings boasting exposed beams, floor to ceiling windows, in a private setting on top of the ridge. 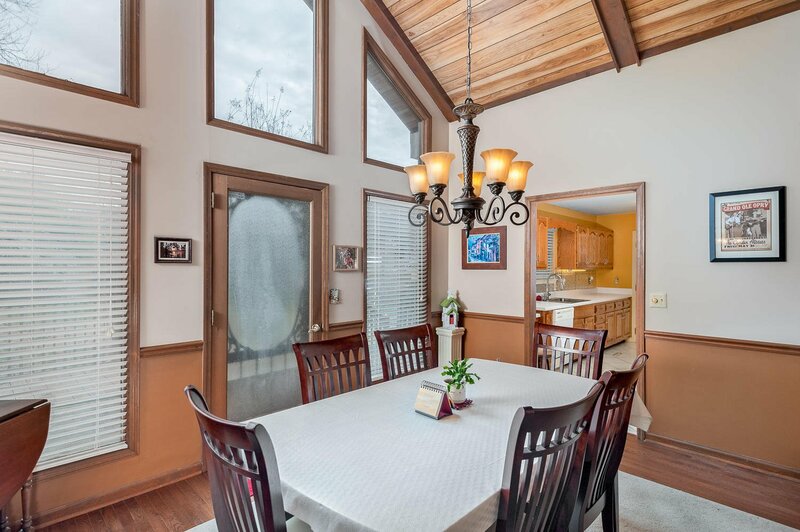 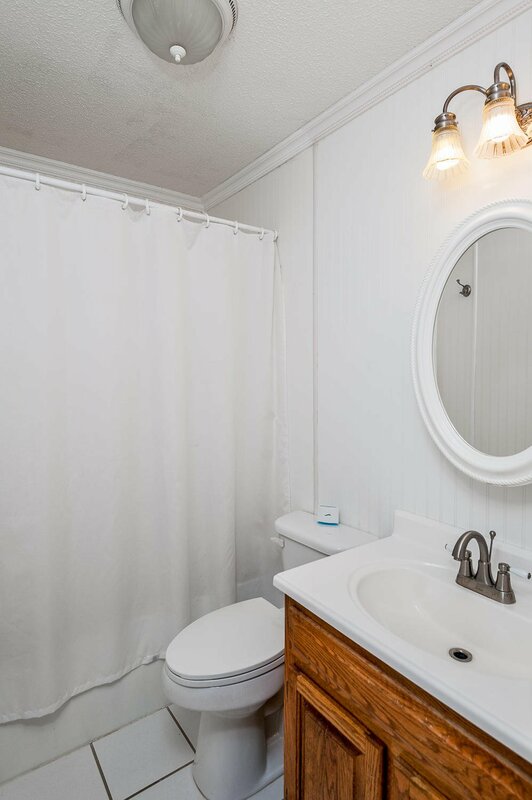 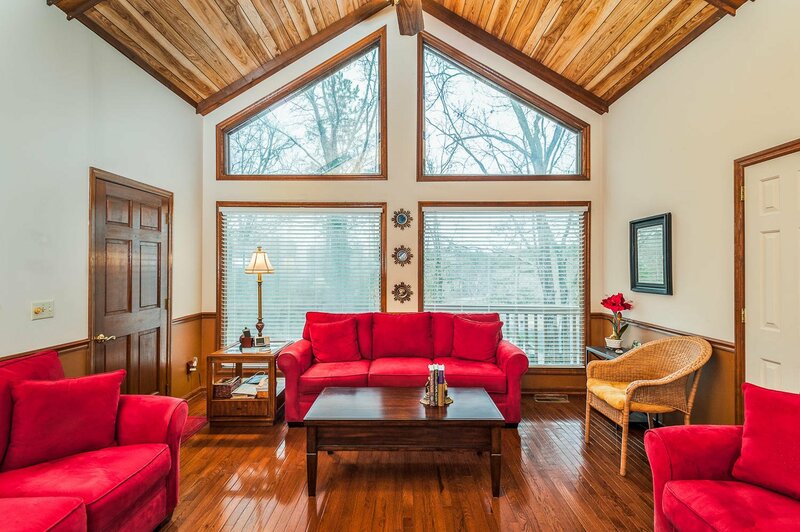 This cozy home is nestled in the heart of Lakesite, with easy access to the community park, boat launch, clubhouse, tennis courts and so much more. 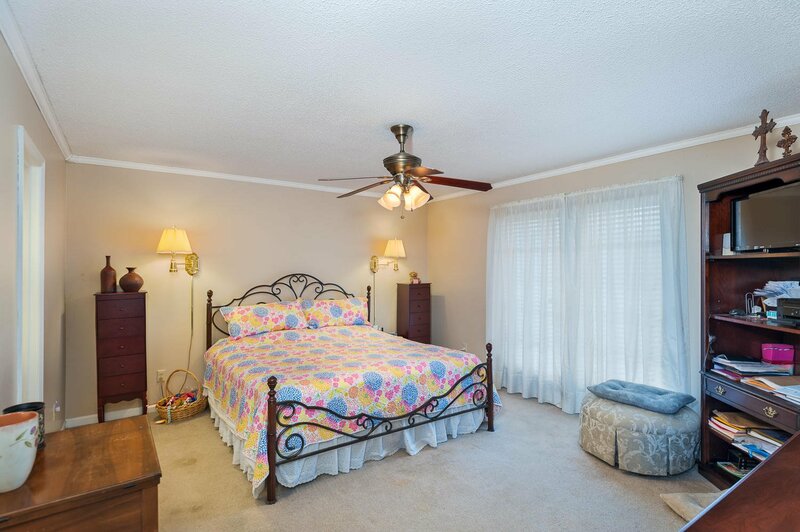 The unique bedroom design offers French doors with access to the deck, a walk-in closet, ensuite bath with jetted tub and oak cabinetry. 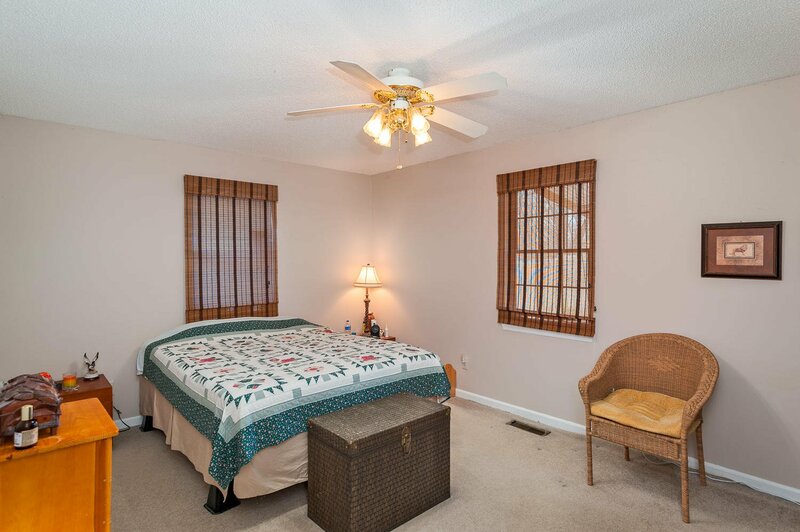 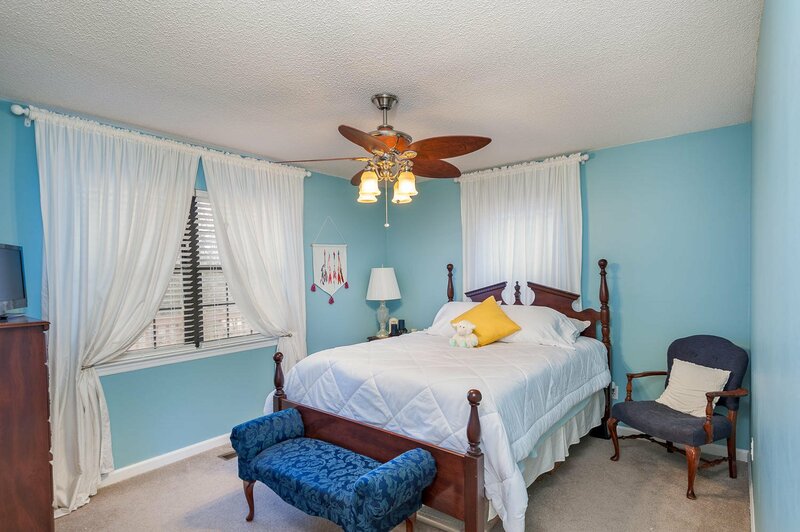 There are two additional bedrooms, one with a walk-in closet. 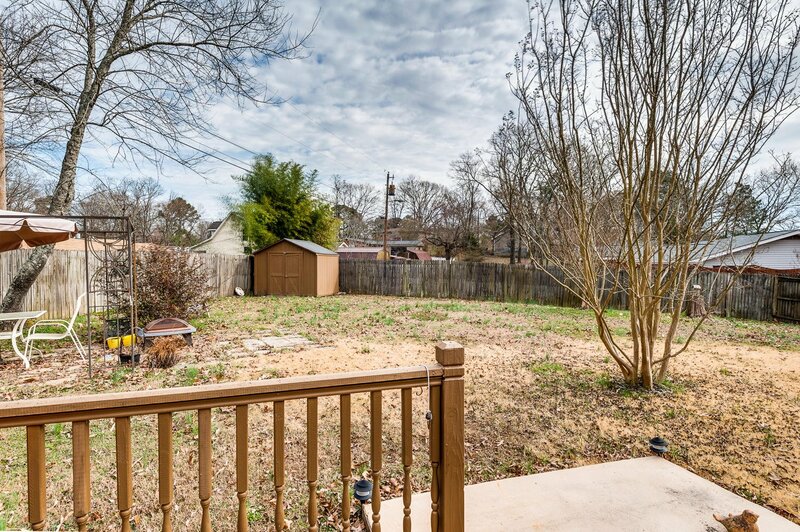 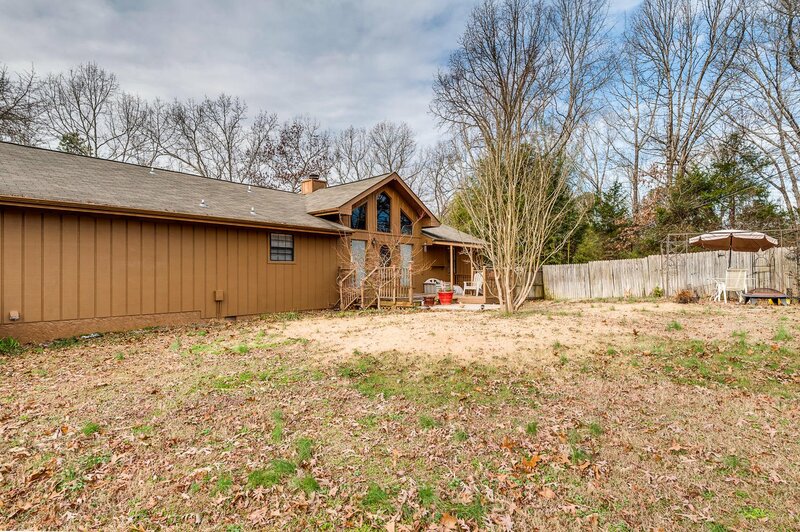 The roomy back yard has a partially covered deck for entertaining and an out-building. 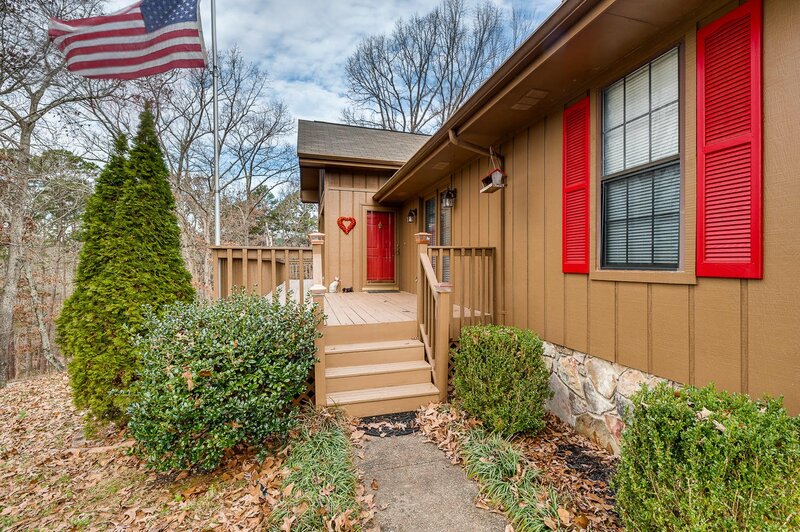 Listing courtesy of Fletcher Bright Realty. 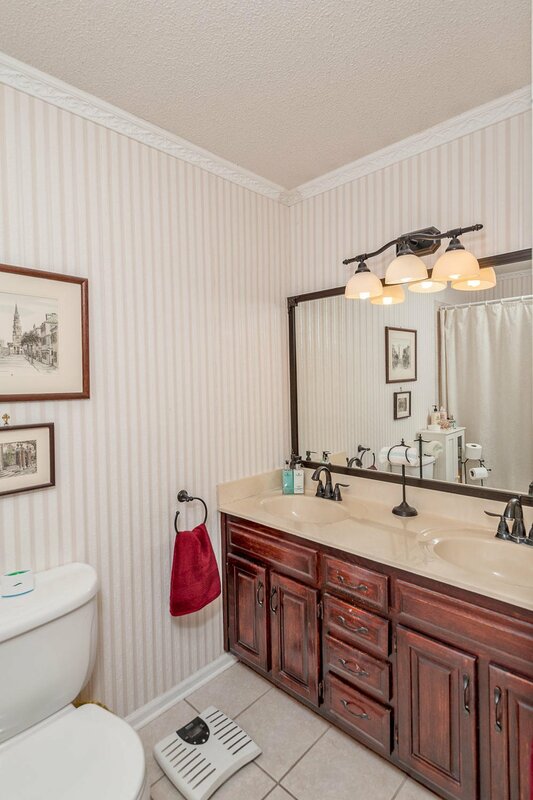 Selling Office: Berkshire Hathaway HomeServices J Douglas Properties.